Today we have a guest post from a small town fan of Canadian Budget Binder who wants to share her insights into grocery shopping on a budget when your options are limited. If you are a fan or a personal finance blogger and would like to share a story please read my guest post guidelines and contact me. My name is Christine and I live in a small town in Ontario and have followed Mr CBB for quite a while now on the blog and participating in posting my grocery shops with his Grocery Game Challenge since Sept 2012. I shop for my family of 4 which includes my two adult children, my husband and I. We also can’t forget our family pet fat cat Stuart who eats up a part of our grocery budget as well. Our grocery budget is $650 per month so I have to make that money stretch and living in a small town can make that challenging for me. I have tried very hard to keep things within my budget, not always successfully. It’s been a learning experience to say the least. If you have been hesitating about posting your grocery shops because you think that you can’t save on groceries, think again. If I can do it …you can too. If you are thinking that the people that post their shops have all these stores to go to to help them save money but you are in a small town and just don’t have access to all those stores…..keep reading. One of the things I have had to deal with in trying to keep the grocery budget in line is the fact that I live in a small town, roughly 6000 people. We have all of two grocery stores to choose from. One our our small town gems is a grocery store called Foodland which is part of the Sobey’s chain. Another of the small town grocery stores that we have is a Your Independent Grocer, part of the Loblaw’s chain. Foodland is right across the street from me so I can walk over and get what I need a great part of my small town life. This cuts down on time and petrol another factor to think about when planning my grocery list. The Your Independent Grocer is out at the east end of our small town and I need to drive there. My options are limited to these two stores unless I go out of town. This is not always an option depending on the weather, my husbands health on any given day and a lack of flyers for the out of town stores. Most of the time I shop at Foodland which is available in most small towns. It’s convenient and believe it or not…cheaper than the Your Independent Grocer store another small town grocery store. The fact above underscores one of the biggest issues if you want to save money on your groceries. You need to know your prices. It doesn’t matter how many stores you go to you still need to know the prices for all those regular items we are always buying. Because there are only the two options for my groceries I don’t price match in town although I do shop the sales and I coupon. I use a grocery list every time! If you know the regular prices on those items you buy on a regular basis then you can tell when you look at the flyers if it’s a good sale price or a really good price or even a Good Price!! Lets look at these items one at a time. Knowing your prices… I plan my stock ups by how good the price is. Foodland has the regular flyer deals but they also have price cuts that last 4-5 weeks at a stretch. I believe Food Basics is doing this now too. It tends to not be that great a sale but every penny helps. If the price cut is on what is considered a basic item for my family I will try to pick up one or two items on price cut every time I go. By the end of the price cut time I have a nice amount of product stocked in my pantry that I didn’t have to pay full price for! I do much the same thing for the weekly sales but, usually, on a smaller scale. I also coupon but not to the extent that some people do but I do use them. I get the inserts that show up in our weekend papers and sometimes even manage to get more than one copy of an insert. Those are red letter days. I look in the store while I’m shopping for the tear pad coupons too. The best source of coupons is online in my opinion. Sites like Gocoupons.ca, Save.ca, Websaver.ca are great and they mail those coupons to you. They also have printable coupons. Other sources like Smartsource are printable. There are also sites like Save Big Live Better, Mrs January and Coupon Christine that post deals and such you can take advantage of, and they post daily. Lets not forget our own Mr CBB! I always shop with a grocery list when I shop. There are lists online you can print off like Mr CBB’s Free Money Saving Tools. I have my own way to list what I need to buy with prices listed right on my list and if I have a coupon to use for the product. Figure out what works best for you and then make sure you use that list. 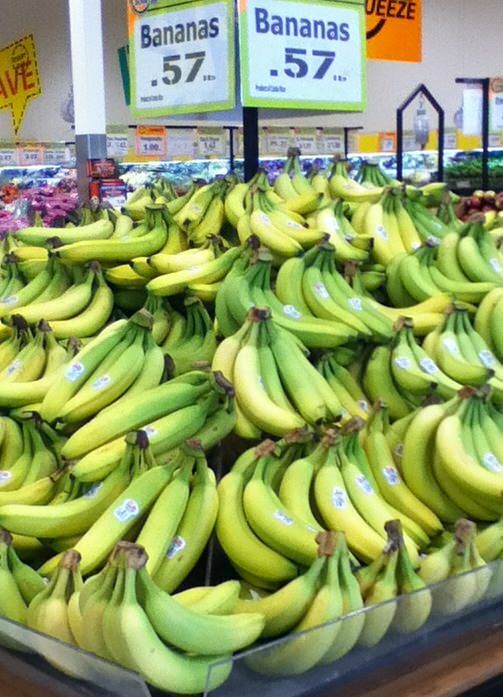 Hopefully these ideas will help you save money on your groceries. Posting on Mr CBB’s Grocery Game Challenge helps to see just what it is we are buying. Speaking for myself it does make me stop and think about what I am getting knowing that Mr CBB will see what I am purchasing. Below is a sample shop from January that I posted in the Grocery Game. As you will see I came so close to making my grocery budget and without posting my shops I might not have been able to track my money so well. Here we go!!! I made it into No Frills for a shop this week for a quick prowl around, but the rest was at Foodland. So I finished the month over by a whole $3.06, on a 5 week month!!! So much better than last year!!! Last Jan. I was over by some $200.00!!!! The roasts were a good deal as was the extra lean ground beef. The ground beef was broken up into a number of smaller meal size packs for the freezer. The stockpile amount helped a lot. The coupons for NF were what I think as the cashier just rang it in as one big coupon for $4.50. The pork loin was a super good price!! $1.00 lb. It was dollar days at No Frills. I won’t argue with those prices. I am pleased that this month went as well as it did. The first three weeks were low so that helped with the last two weeks when there was some stocking up done. I have had to wrap my head around 4 and 5 week months as that was part of what messed with me last year. This time I was more aware. All in all a good start to the new year…. We all have ways to save money on groceries and we all have to work with what is available to us, whether it is the amount we can afford to spend or the limitations we have in places to do the actual shopping. 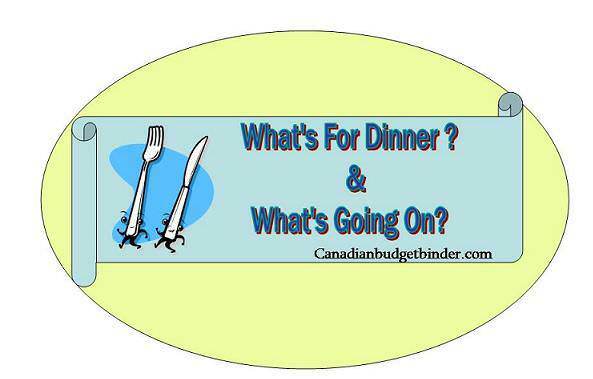 Another way to save on your grocery bill is to join us every night for the What’s For Dinner post on Facebook at Canadian Budget Binder. The post runs from 5pm until 10pm 7 days a week. We post what we are making for dinner that night and we share recipes and general chatter and have a lot of fun. All of us are generous with our recipe collections and if you need ideas on what to make your family we have ideas. If you are wondering what is coming up on sale at your store, chances are someone can tell you as long as you ask. If you bought something on sale and are wondering how to cook it, again just ask as we are a diverse group of fans on Canadian Budget Binder from an array of cultures. We have recipes we can post for you and everyone else to try or you can check out the free recipes Mr.CBB posts from other food bloggers at The Free Recipe Depot on Facebook. Another great free source for recipes to help keep your budget in check. Come join us in the Grocery Game Challenge!! We don’t judge but are there to help you any way we can. Even better, after you have your groceries, come join us on What’s For Dinner! Trust me…you won’t be sorry……. I hope that if you live in a small town like I do you don’t let the small shops deter you from saving money in your grocery budget because it is possible, I’m proof of that. 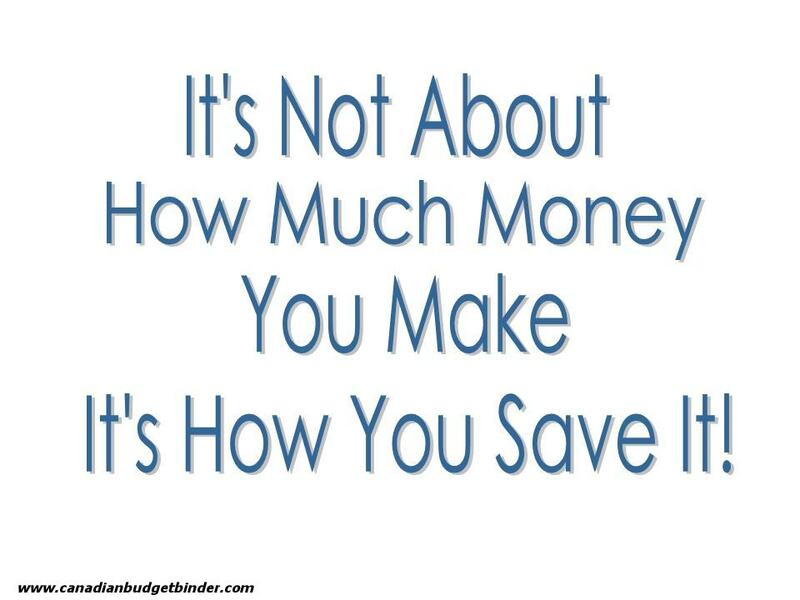 Planning is important so if you want to save the savings are there as long as you are willing to put in the effort. Good post Christine. I agree about grocery lists. We stockpile too. It’s comforting to know that we have that cache to fall back on when times are tight but we also know to take care to ensure that what we’re stocking up on is stuff we use on a regular basis so that the stock in the cupboard gets used up before it expires. I also put $75/month of our grocery budget aside into a planned spending account that allows us to buy seasonal food when it’s at its lowest price and best quality. I can produce/fish/meats purchased from this fund, and put it in the freezer too. With rising food prices and stagnant wages, it’s getting more and more challenging to make the budget stretch to meet our needs. It’s good to have communities like this that encourage each other along. Thanks Beth Anne!!! I have the $650.00 a month for my budget but I also have a small stockpile amount for those sales and such. I’m hoping to be ahead enough with either the regular budget or the stockpile that the boys and I can pick berries for jam come berry season…. I make some every year and just hope it lasts until the following June. I worked in retail back before I was married and we had something called FIFO for stock and I use that in my pantry and freezers. It stands for First In, First Out….I’ll be getting some sugar tomorrow at Canadian Tire as they have a really good price and those bags will go behind what is there now. Have a good weekend Beth Anne!!! This is a terrific article. I agree that grocery lists are a necessity! We created my mygroceryflyer to help people save on groceries by automatically scanning weekly store promotions. And of course the service is free. Thank you!! Is your site Canadian flyers? I do get a few of the flyers from the nearest city to here but not the really good ones! I don’t get No Frills or Shoppers Drug Mart… Which is really frustrating. I have to get those online but I did find a site that works on my iPad with lots of flyers on it. I have complained at store level and to the head offices of both stores only to be told that we are outside the distribution area for the flyers. I will check out your site shortly! !